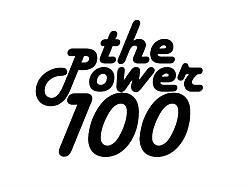 Coming on the heels of 12 months of extraordinary financial stress, both in the artworld and the real world, the 2009 edition of the Power 100 reflects fundamental changes in influence. Previous No. 1s, both artists and collectors, have plummeted, while only the most ambitious of museums have stayed near the top; meanwhile, percolating up from the middle ranks is a new generation of highly networked, flexible, globetrotting curators – men and women at the very centre of a new way of working. The ArtReview Power 100 is not just a who's who to contemporary art but also a guide to general trends and forces that shape the artworld. With almost a third of entries new to the list this year, and sharp divisions among the panel of international experts making the selections, this edition is one of the freshest in years.